US Security Concerns Melts Swiss Chocolate | Words, By George! 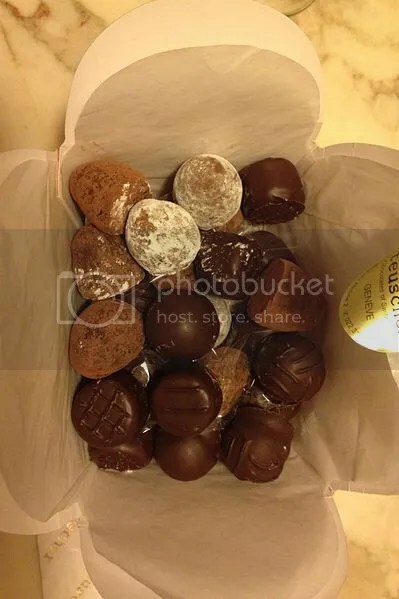 Chocolatiers in Switzerland are infuriated by US inspections on their high quality confectionary for bioterrorism, contamination or radioactive threats. Factories have no choice but allow checks otherwise will they be banned from the very profitable US market. ­At least 21 Swiss chocolate factories and 18 dairies were obliged to allow inspections of their work until September 20, German business journal Handelszeitung reports. “The fact that a foreign authority is involved in our Swiss businesses is unseemly,” Daniel Bloch, of Chocolates Camille Bloch told the journal. Despite the anger and disappointment, chocolate manufacturers want to be able to continue to sell chocolate to the US. But the planned examinations turned out to go well beyond health issues, and included details such as sales, ownership, employees and the sizes of company buildings. “We ask ourselves, what is the real reason for the FDA inspections,” Jacques Gygax, director of the Swiss dairy association Fromarte. The reason for that is the new America’s Food Safety Modernization Act, signed by President Obama in April 2011. From that time onwards Americans check all the food coming from abroad, Swiss chocolate being no exception. These inspections are carried out in the country where products were produced prior to export. Before the Act, examinations were conducted at the US border. The US Food and Drug Administration (FDA) suspect that imported foods could be contaminated chemically or radioactively. The cause for this “concern” was not clearly specified. It beggars belief that the US FDA would need to inspect any other aspect of the business beyond the manufacturing process. Are the inspectors going to be there 24/7/365? Let’s look at this with logic. The Swiss chocolate manufacturers have been making chocolates for centuries without issue, and are proud of the quality of their work. The Swiss further have a policy of political neutrality and non-aggression which is something the US seem to have forgotten about. By offering anything other than a first class quality product, the Swiss chocolate industry has got everything to lose and absolutely nothing to gain. In 2008, Americans were able to consume over 1.586 billion kilograms of chocolate. This was almost 25% of the world’s total chocolate production during this year. That’s 5kg for every man, woman and child in the US! Maybe it’s not contamination that the US FDA needs to concentrate upon, but rather the long-term effects of chocolate consumption on its obese population, and the health related flow on effects of that obesity. Or maybe this is just another example of the US security paranoia! The use of “stand-over” tactics by the US FDA to enter another sovereign country, to inspect their manufacturing processes is both unacceptable and a political slap in the face to those friendly countries involved. I for one, could never see the US allowing any foreign power to enter the country to inspect their manufacturing processes, staffing, business ownership et al. ← Germany – Leader of the (Euro) World?